Abby Langer has been a Registered Dietitian since 1999. 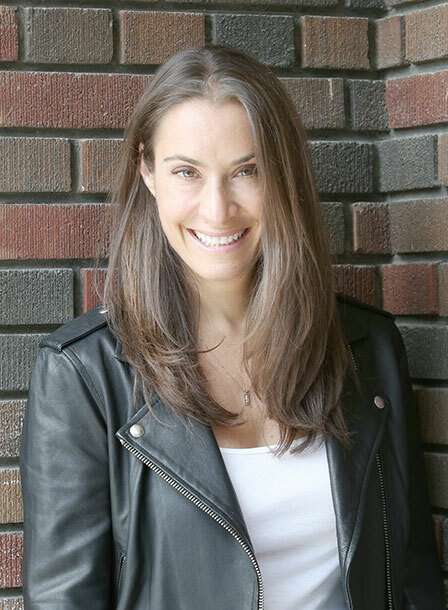 Educated at Dalhousie University in Halifax, Nova Scotia and Loyola University in Chicago, Abby has worked extensively both in nutrition management and in clinical nutrition. 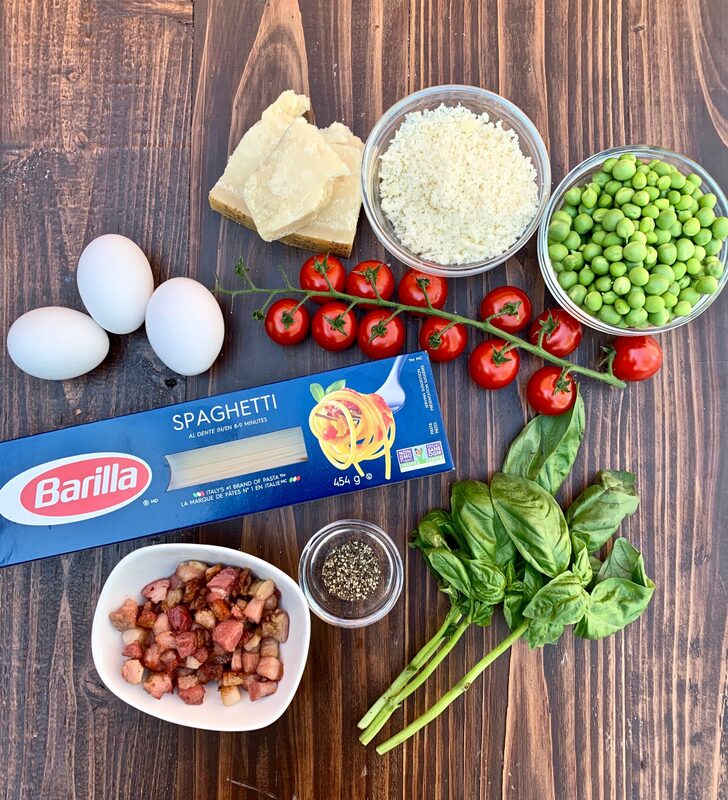 I partnered with Barilla for this post. Barilla X Abby Langer Nutrition has been an ongoing partnership based on my love of Barilla and their delicious pasta. Pasta is the perfect foundation for a nutritious meal. 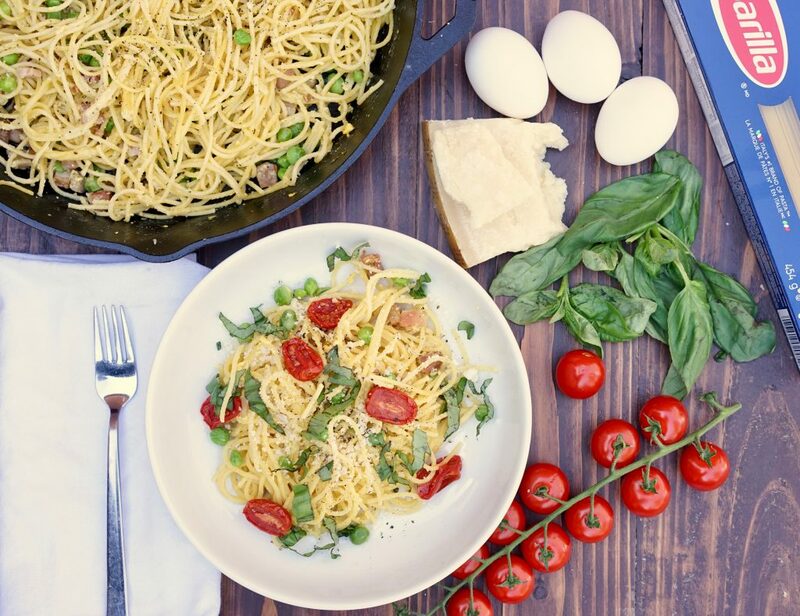 Like this Carbonara recipe, It’s a quick and versatile dish that, when prepared with healthy ingredients such as veggies and lean proteins, can provide a nutrient-rich and balanced meal. Pasta Carbonara is like a breakfast sandwich/mac and cheese cross that’s super simple – just pasta, eggs, cheese, and pancetta (basically Italian thick-cut bacon). Carbonara is one of the recipes you can make when you haven’t gone for groceries in a while. It’s so basic, you probably have all of the ingredients in your kitchen right now. Pasta itself is made with just durum wheat and water, and it gives me the energy for my endless spin classes and overall crazy life. I’ll never give up my pasta. Ever. I was recently inspired to make it because Carbonara Day is April 6 – and it got me thinking of my first time I ever tasted Carbonara. It wasn’t that long ago! When I was in Milan, Italy last fall for the Barilla Pasta World Championship, one of the other team members and I went out in search of dinner. It was late, and we were starving. Milan has all these random cobblestone streets that have adorable restaurants and shops, and you never know what you’re going to find when you walk down them. Anyhow, Amy and I chose a side street and walked down it. To our surprise, we came upon a row of restaurants and we ended up choosing a seafood place. I had never had Carbonara before and we ordered it with a bunch of other stuff. When the Carbonara came to the table, we both took a bite at the same time and WOW. We looked at each other in utter shock. It was beyond delicious. Creamy, salty, smoky, cheesy…as I write this, I’m literally shaking my head because I can’t even describe how good it was. I’ve eaten a lot of food in my day, but this will forever be in my top 10 meals of all time. We sat in that restaurant over the plate of Carbonara and discussed how in the world they could make it taste that good. Amy said it had to have pasta water in it, and she was right. Pasta water is the secret to making the Carbonara creamy: the recipe contains no cream. First, you need to use some of the pasta water in the sauce. Pasta water is starchy, and it helps the sauce cling to the noodles. Without it, the recipe would come out dry. Do NOT be afraid to use the water. My first few times making this recipe, I was scared that it would come out too wet, but the water evaporates and the sauce thickens upon standing. I promise, you’ll need more than you think. You also need to use lots of egg yolks. Make sure your eggs are at room temperature before starting. Finally, timing is everything. You’ll need to make the sauce, then boil the pasta. Once the pasta is done, you’ll drain it and add the sauce, cooking the eggs in the hot pasta but NOT overheating it, which can result in some expensive scrambled eggs. You can add other ingredients to your Carbonara recipe. I added roasted cherry tomatoes, but you can do peas, roasted leeks, whatever. It’s all good. Take the Carbonara Challenge: make your own Carbonara recipe and post it with the hashtag #CarbonaraChallenge before or on Carbonara Day! Tag me, as well as your friends, and family to get them to join in! 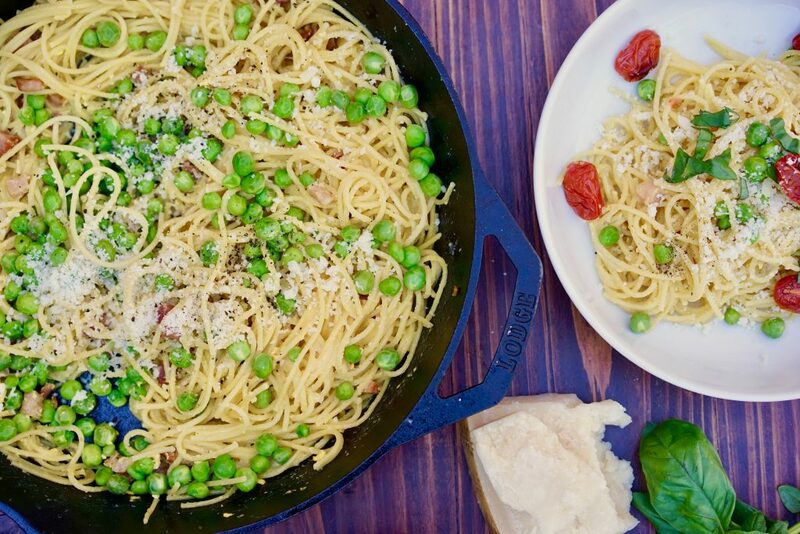 Pasta Carbonara is sometimes complicated, but it doesn't have to be! Here's my recipe for this simple 4-ingredient dish that the entire family will love! In a large pan, fry the pancetta until almost crisp, then set aside. Whisk together the eggs and cheese. Set aside. Boil the pasta until it’s al dente. Reserve 1 cup of the pasta water and then drain the pasta. In the pan that you cooked the pancetta, reheat the pancetta slightly if needed. Keeping the pan on low heat, add the pasta to the pan with the pancetta. Stir 1/2 of the pasta water into the egg and cheese mixture, then pour over the pasta. Toss the pasta to thoroughly coat with the sauce, adding more pasta water to achieve a creamy consistency. Serve immediately with extra cheese and lots of black pepper.